Chaparral Golf Course. Golf Chaparral Palm Desert. 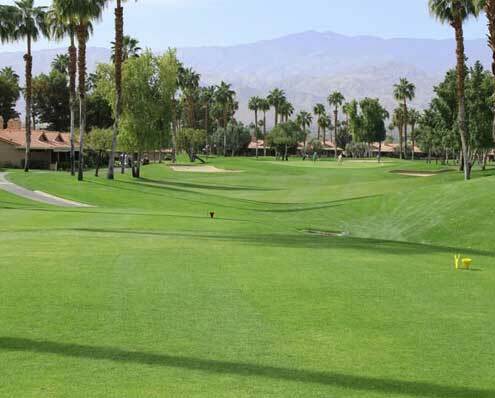 Chaparral golf course details and information about Chaparral Country Club in Palm Desert, California. Chaparral Palm Desert is a private country club, with a beautifully manicured green and striking views of the mountains. It has tall palm trees and desert features that really make you feel like you’re golfing in the middle of the mountains. Golf Chaparral Palm Desert for a day, a tournament, or for a weekly event. In addition to Chaparral golf, they host other popular events like their weekly “mixer” called TGIF. In addition, they are also host to the U.S. Marine Corp Scholarship Golf Tournament and the WSCGA Executive Golf Tournament.